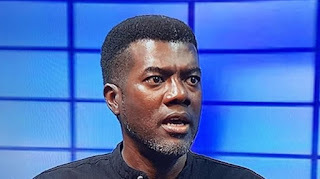 Reno Omokri, a former aide to ex-president Goodluck Jonathan, has suggested the reason former Governor of Akwa Ibom State, Sen. Godswill Akpabio, wants to join the All Progressives Congress, APC. According to him, the former Governor may have been contracted by the Peoples Democratic Party, PDP, to infiltrate the camp of APC. In a tweet on Monday morning, he said that Akpabio will destroy the APC from within. Omokri wrote, “Don’t assume the worst about Senator Akpabio. “There is more to this than meets the eye. The Akpabio I know is a clever player! “During war, you also send some of your own agents to infiltrate your opponents camp.